ITASCA, ILLINOIS (June 14, 2017) – AIT Worldwide Logistics has joined the Aviation Logistics Network (ALN), becoming the exclusive U.S. member in the independent international association. The ALN is a multilateral partnership of logistics providers that specialize in delivering time-critical freight for the aerospace industry. 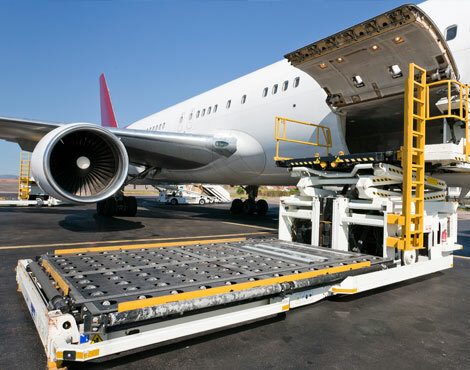 AIT has been granted membership in the network after demonstrating the capability to deliver door-to-door shipments (including hand-carries) of sensitive aeronautical components both quickly and securely. AIT’s membership in the ALN provides added assurance for the company's commercial, government and military customers that their international Aircraft on Ground (AOG) shipments are being handled exclusively by proven specialists whose credentials have been vetted by the association. Likewise, ALN affiliates around the world provide compliance and customs clearance expertise in their respective locales for all cargo flowing through the network. In the U.S., AIT’s AOG Control Tower is based in the Chicago area and staffed around the clock by subject matter experts monitoring time-critical aircraft part shipments ranging from the very small and light (O-rings and relay switches) to the very large and heavy (jet engines and wing flaps). As a new member in the network, AIT’s AOG professionals have also invested in designing and conducting a complete training program for suppliers. This initiative promotes best practices for properly preparing, staging and handling aerospace components, especially engines. Greg Weigel, AIT’s Executive Vice President, Global Operations, said, "We are honored to be a member of the ALN – one of the most advanced aerospace supply chain strategies in the world. Becoming the exclusive U.S. partner is a strong endorsement of the subject matter expertise, quality and high service intensity that AIT leverages when executing complex solutions for this uniquely demanding industry. Together, AIT and ALN are reshaping the landscape in aerospace and defense logistics."